A replacement cradle for your Philips LFH9600 or LFH9500 digital dictaphone. This docking station comes with 2 x AAA rechargeable batteries and power supply. 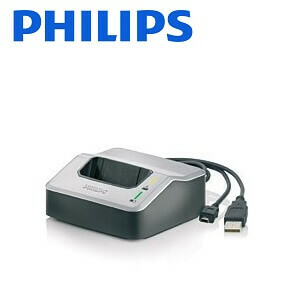 The Philips LFH-9120 USB Docking station for the Philips LFH-9500 and LFH-9600 digital dictaphones. This docking station comes with 2 x AAA rechargeable batteries and power supply.